Few people can see a massive carp swimming around and not want to learn how to catch carp. Catching carp is incredibly entertaining, but so many North American fisherman just don’t know where to begin. So here is a very basic beginner’s guide to catching car. Carp will eat bread, oatmeal, grits, maple peas, boilies, fish pellets and spam, but my favorite bait is corn. Carp love corn. Sweet corn works great or you can buy bulk dried feed corn and boil it to make an awesome yet cheap carp bait. To read an article explaining how to make your own corn based particle bait click here. 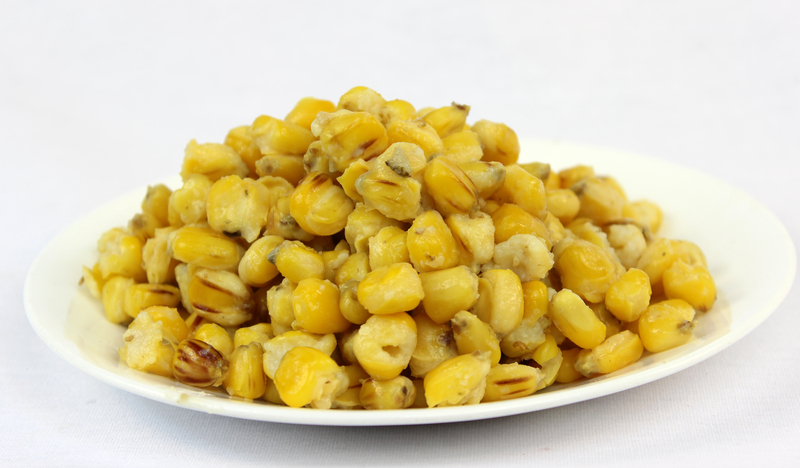 For a video about how to prepare feed corn for carp fishing click here. Chumming is an essential part of carp fishing. Chumming is when you throw bait into the water around your hook to attract more fish into your spot. Chumming can be done days or minutes in advance and should be done throughout the fishing. Carp can eat so much bait so quickly you can easily use 2-5 lbs of chum very quickly. Spods, slingshots, spombs, PVA bags, methods and margin poles are all tools meant to help carp anglers chum out in the middle of the lake. One of the easiest ways to chum a spot if to canoe out to where you are fishing and throw the bait out in the water by hand. For more information about chumming and baiting tools click here. #8-#1 hooks are popular for carp. I prefer size #4 and #6 hooks. Always get the sharpest hooks you can afford. Specialty carp hooks such as Ace, Korda, and Fox are super sharp and designed for carp, but Gamagatsu also makes excellent hooks. A simple inline lead and hair rig is an amazing carp fishing rig. The important part to get camouflaged parts and line. Carp have good vision and in clear water they can see clearly leads, hooks and swivels. Avoid components that are shinny. Many carp gear manufactures makes camo leads, mat finish swivels and hooks. The hair rig is the best way to take your carp rig to the next level. A hair is a piece of string the attached your bait to the shank of the hook. A hair rig is tied with a knotless knot and is very simple to make. 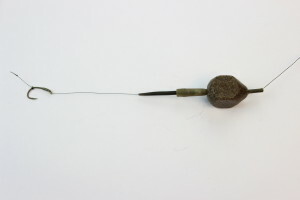 The bait is attached to the hair using a baiting needle and a bait stop. For a nice video on how to tie a hair rig and how to attach bait to a hair rig, click here. Once you find a lake or river with carp in it, sit and watch for a while. Look for the signs of carp activity. Jumping slashing carp are a dead give away, but also look for trails of bubbles and mud being stirred up in shallow water by grazing carp. The edges of weed beds and reed beds are always good places start looking. Most carp fisherman fish with multiple rods at once using bite alarms and rod holders. Rod holders allow you to use multiple rods at once and bite alarms allow you to divert your attention to other things while you fish and allow you to catch a nap while night fishing, plus they are really fun. For great video demonstrating how bite alarms work click here. A long handled wide mouth net is great to have. A 6’ handle and 42” mouth is great. Micromesh netting also protects big fish from getting cut by the nylon mesh. Carp are different than other game fish. The average carp is bigger than most species of fish in North America but carp cannot survive out of water the same way that catfish can. Because of their size, they can be injured a lot easier if they flop around on the ground or get dropped. Unhooking mats or carp cradles are designed to protect carp while you unhook them or if they flop out of your hands during a photo. For more information about carp care, click here. Check out this great video showing how to catch carp.